Allium 'Blue Eddy' is a delightful small plant for the rockery or front edge of the garden. It was named 'Blue Eddy' because its attractive, pinwheel-like rosettes of blue-grey to grey-green foliage resemble “small swirling eddies of water”. It forms a very compact clump of strongly swirling leaves which range a bit in color depending on the season and sunlight. From late summer into early fall, small rounded clusters of light lilac pink flowers appear atop leafless stems like lollipops. 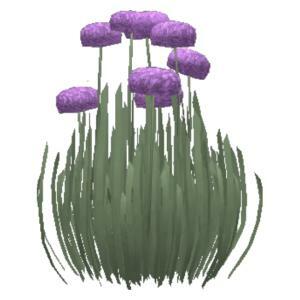 Since it is a small plant whose unusual foliage needs to be appreciated at close range, plant it where it can be seen on its own. Allium 'Blue Eddy' is easy to grow in average, dry to medium moisture, well-drained soils in full sun to part shade. It performs best in full sun but will tolerate some light afternoon shade. 'Blue Eddy' tolerates a wide range of soils including sandy soils but will not grow well in heavy clay. Although it is a true bulb on a stout rhizome, it forms a clump which can be lifted and divided in either spring or fall. 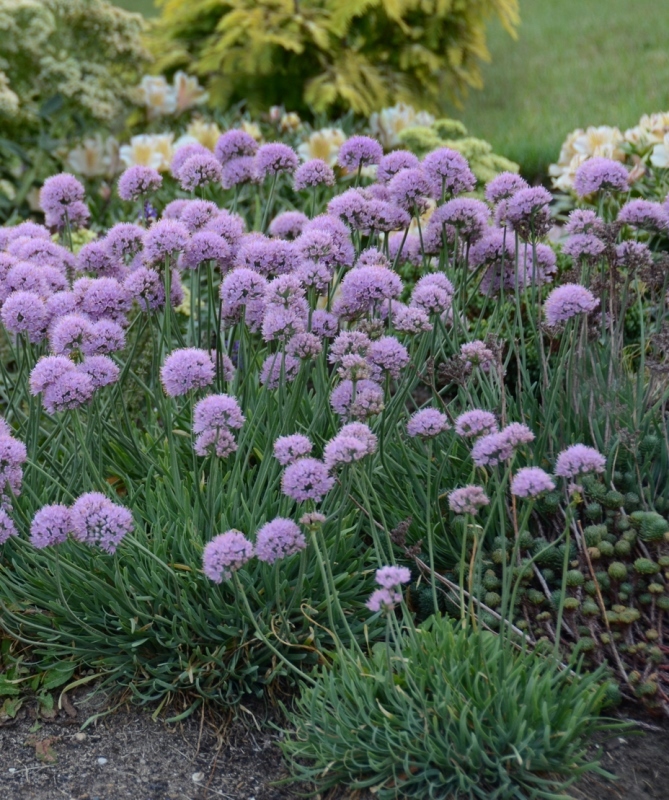 This hybrid has been well behaved in our garden, making a very compact and neat clump that is perfect in a rockery or along the edge of a pathway.